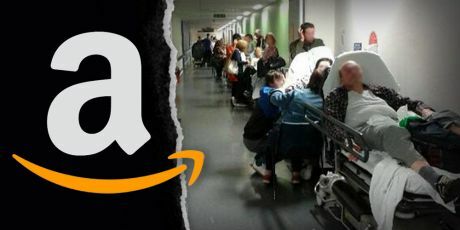 Avaaz - Make the Tech Giants Pay Their Taxes! Make the Tech Giants Pay Their Taxes! As global citizens concerned by tech giants and other large companies who hide billions in tax havens instead of paying their fair share, we call on you to urgently pass a revenue tax on tech giants. This is not a technical question; it’s a question of justice. We all pay taxes, so should they. Amazon made almost $200 billion in revenue last year -- yet in many places their tax rate was almost 0. ZERO! Internet giants are using tax loopholes to pocket billions that should be going towards our schools, hospitals, and other public services. We pay our taxes -- why shouldn't they? Europe is on the verge of passing a revolutionary law that would make them do just that -- take just a bit of the trillions the internet giants earn to give it back to the people, like Robin Hood. But these monster companies are fighting back, because they know if it passes it'll go global. Let's show key governments we've had enough of this injustice -- Avaaz will deliver our call to European capitals ahead of the vote in just days.